Earlier topic: Anybody know what this is? I found what appear to be various size hole punches used in a platen press. I read the post some time ago that showed some punches that had square bases that would allow easy lockup in a chase. These punches however are round for their entire length. Is anyone familiar with these round type and how to they were locked up? It seems like I would need to drill a matching hole in furniture or something to be able to hold them securely. you’ll want to check the height of them first. just so you don’t throw in .937 dies expecting .918. then as you have assumed, drilling a piece of die board for them, is exactly what you will have to do. Die punch bases are mostly common sizes like 3/16 for 1/8 punch so you are best to use a drill press to keep them standing straight up. Eric makes a good point .937 is the most common punch height so check that. Punches can be locked up like type for example using 18 pt spacer or furn around a 1/4 based punch. It was a common practice in the days of block steel rule dies. The square-base punches are ejector punches; spring pressure forces waste out of the punch. The hollow round punches I have seen had a waste hole angling out; they would need to be set in wood lower than the waste chute. Without a path for waste removal, you’ll have to stop and clean out the pucnch fairly often. ericm’s picture makes me wonder where the waste path is there, since the rubbers are so close to the punch. I found both types. Larger round ones have ejector centers and smaller ones have lower side ejection holes. I will get the digital calipers out and get a height measurement for sure. I will have to use something less than furniture height for the small ones or it will block waste hole as pointed out. Funny. Wife just asked if we had a small punch for some Christmas tags I printed and it jogged my memory that I saw something that looked like punches in my last purchase of type. Should do the trick. Side eject punches have part of the die board routed out for scrap to go. Standard punches can be filled with rubber or come with springs and the waste stays in the finished sheet to be claeaned out later if not the scrap ends up in your press. 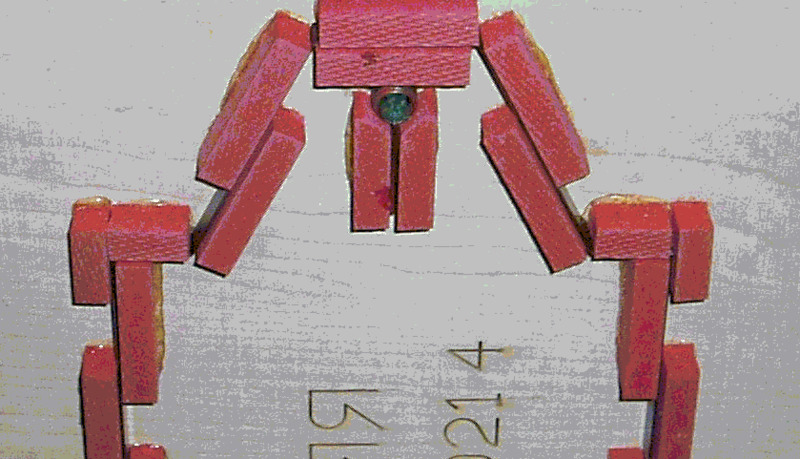 Shown below are spring punches in dieboard,side eject,spring punch w spring and side eject w scrap. Eric’s waste probably stays in the sheet and is cleaned out later away from the press. On large runs I use a stripping jig. Of note sometimes the customer wants the scrap to be tagged in to stay on the sheet to keep the graphics intact until the item is hung on a rack. mike is correct… sorry for confusion, was not expecting it, but, that is “green gorilla” rubber in the center of the punch. not paper. it works the same as a spring but is cheaper.